We know holidays have a way of sneaking up on you. Not to worry. Our Valentine’s Day Collection is outstanding. 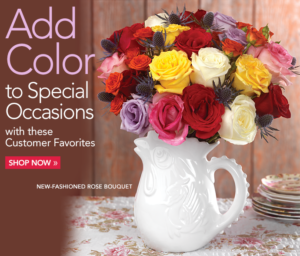 You can send roses in almost every color of the rainbow as you can see in our New-Fashioned Rose Bouquet. 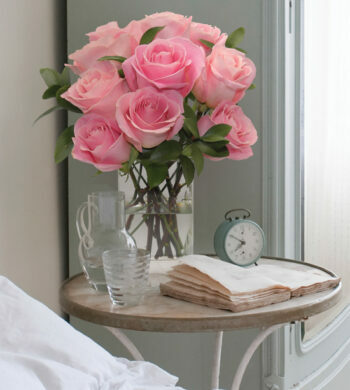 Twenty one, perfect long-stemmed roses mix with rustic blue thistle to create something beautiful and unconventional. 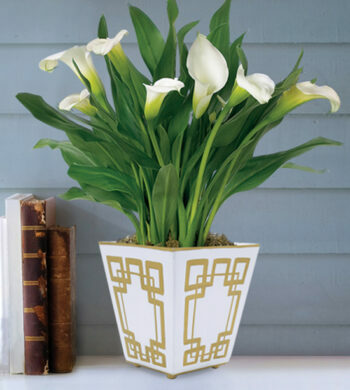 The bouquet is offered alone, in our signature glass vase or our decorative rooster pitcher, made in Portugal. 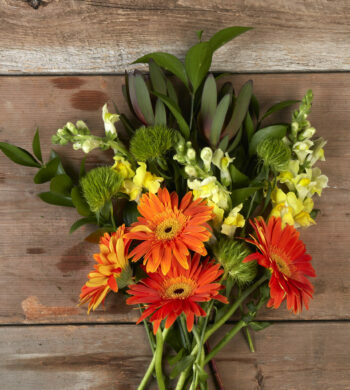 Delivering romantic, memorable gifts is what we do best. 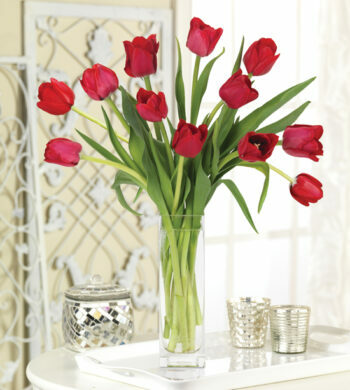 To find more fashionable flowers and other Valentine ideas, click here. Valentine’s Day is Sunday, February 14.